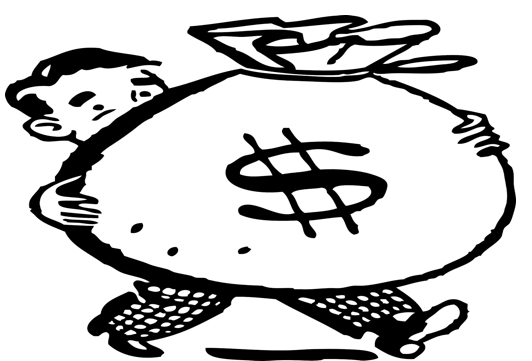 Real Deal Retirement » Blog Archive » Pension Dilemma: Lump Sum or Lifetime Annuity Payments? Pension Dilemma: Lump Sum or Lifetime Annuity Payments? I’m getting ready to retire from the company where I’ve worked for many years. I keep hearing conflicting answers as to whether I should take my pension as a lump sum or monthly lifetime annuity payments. What’s your advice? I’m not surprised you’re getting conflicting advice. The lump sum-or-annuity decision can be a complicated one, and the decision that’s right for one person may not be best for another. Which makes it all the more important that you really think through your choices and settle on an option that makes the most sense for your particular circumstances. Let’s start that process by taking a quick look at the pros and cons of going with a lifetime stream of monthly payments vs. taking your lump. The main advantage of the annuity payments is certainty. You know exactly how much pension income you’ll receive each month, and you know you can count on that money to keep flowing in even if you live a long, long time and even if the financial markets go into a prolonged and deep slump. But that certainty comes with some drawbacks. If in a given month you need more cash for an emergency or to pay a large health-care bill, you have no way of getting more income from your pension. You have the monthly payments, but that’s it. So if you opt for the annuity payments, you’ll want to be sure you have other resources you can dip into for extra cash and liquidity, say, money in an IRA or other retirement account or home equity you can tap by downsizing or taking out a reverse mortgage, two options that are laid out in detail in the Boston College Center For Retirement Research’s Using Your House For Retirement Income report. And should you die soon after opting to receive the payments, you will have received much less from your pension than had you taken the cash upfront. So if you’re in poor health or have reason to believe you might have a short lifespan, you may be able to get more income during the time you’re around by going with the lump sum. Then again, people tend to underestimate how long they’ll live. If you’re married, it’s also important to remember that you’ll be counting on your pension to provide income not just for you, but for your spouse, who could very well live many years after you’re gone. To get a better idea of just how many years you—and if you’re married, you or your spouse—may spend in retirement based on your ages and health, I suggest you spend a few minutes with the Actuaries Longevity Illustrator tool. As for taking a lump sum, the chief allure is that you have a lot more control. You decide how much you want to spend each year. If you want to splurge, you’re not limited to the income from your annuity payments. You also decide how to invest your lump sum. So opting for the lump may be a good choice if, say, you want to spend more and live larger in the early years of retirement when your health is better and you can enjoy yourself more and you’re confident you can invest your money in a way that will support you without depleting your assets too soon. Invest too conservatively and you may not earn the returns needed to support the level of spending you envision. Take too aggressive a stance and your lump sum could take such a hit during a severe bear market that it may have trouble recovering even when the market eventually rebounds, which could result in you running out of money before you run out of time. One way to get at which of these options, each with its own advantages and disadvantages, make the most sense for you is to ask yourself this question: Would your retirement prospects be better if you had more guaranteed income beyond what you’ll already get from Social Security or if you had more in accessible savings than you already have in 401(k)s, IRAs and other retirement accounts? If, for example, after toting up your retirement living expenses (which you can do by going to BlackRock’s Retirement Expense Worksheet), you see that your monthly Social Security benefit covers all or nearly all of your essential living expenses, then you may have all the guaranteed income you need. In that case, you may want to go with a lump sum (which should go into an IRA rollover account to avoid having the entire sum immediately taxed). You can then invest that money in a mix of stock and bond funds that jibe with your tolerance for risk and draw on that stash as needed for discretionary outlays (travel, entertainment, etc.) and to cover emergencies and unexpected expenses. Should You Factor Social Security Into Your Retirement Investing Strategy? If, on the other hand, Social Security doesn’t come close to covering even your basic living expenses—or you think you’ll have more peace of mind with extra guaranteed income— then you may want to consider going with the annuity payments. You’ll know that no matter how long you live and regardless of how the financial markets perform, you’ll be able to cover your essential expenses with guaranteed income. Even if you decide you’re more inclined to go with the annuity, you should first determine whether the monthly payments you’ll receive from your pension will be higher than what you could get by taking the lump sum, rolling it into an IRA and then buying an immediate annuity within that IRA that will make lifetime payments. The chances that you’ll be able to do better than the monthly payments offered by your employer are low—a 2015 General Accounting Office on pensions and lump sums found that the payouts on company pensions are generally much more generous than those offered by private insurers—but it doesn’t hurt to check. 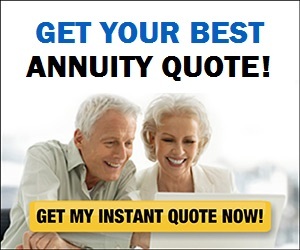 You can get an idea of what size annuity payment your lump sum might buy from a private insurer by going to a site like ImmediateAnnuities.com [https://www.immediateannuities.com/]. Of course, the ideal solution for many people may be to split their pension—that is, take a portion as a lump sum and the rest in annuity payments. By doing that, you’re better able to fine-tune your overall mix of guaranteed income and investable assets and avoid ending up with too little, or too much, of either one. Unfortunately, many, if not most, companies that have a lump sum option offer only an either-or choice: take your entire pension benefit as a lump or lifetime payments. But that may be changing. In September, the Treasury Department issued new regulations that will make it easier for companies to offer pension participants the ability to take part of their benefit as a lump sum and the rest in annuity payments. If your company doesn’t offer the partial lump sum option and has no plans to do so soon, you might consider duplicating that arrangement on your own. How? By taking the lump and then using a portion of it to buy an immediate annuity from an insurance company that you’ll hold within an IRA rollover account. You would then invest whatever you have left after buying the annuity in an IRA rollover consisting of stock and bond funds. You’ll probably end up with less guaranteed income (or a smaller stash of assets) using this tactic than had your company offered a partial lump sum-and-annuity option. But it is a way you can lock in extra lifetime income that can supplement Social Security while also coming away with a chunk of cash you can invest and dip into as needed throughout retirement. If you decide to go this route, you’ll want to ask these three questions and follow these five tips to ensure you end up with the right annuity. I mention the spousal consent requirement not just to let you know you may have to get your spouse’s permission to go with a lump sum, but to stress that for married couples this needs to be a joint decision. Let’s say you take the lump and die first. The fact that your spouse will have to live on what’s left raises two questions: Will there be enough left for your spouse to live on in the first place? And, if there is, will he or she be up to the task of investing that money and managing withdrawals without depleting the stash too soon? In short, married couples really need to discuss the long-term ramifications of their choice. Fortunately, there’s help available if you’re not confident about making lump-or-annuity decision on your own. For example, the Pension Rights Center’s PensionHelp America site can put you in touch with counseling projects, government agencies and legal services that provide free information and assistance about lump sums and other pension issues. If you have questions about whether your pension benefit—be it annuity payments, a lump sum or both—has been calculated correctly, the American Academy of Actuaries’ Pension Assistance List may be able to provide answers. You should also check out the Consumer Financial Protection Bureau’s lump-sum payout guide and the Department of Labor’s “Beyond the Numbers” report, both of which provide a good overview of the relevant issues in the annuity vs. lump decision. And to see whether your pension benefit is covered by the PBGC and, if so, how much of your benefit this federal government agency would pay should your company default on its pension obligations, you should go to the Pension Benefit Guaranty Corp’s site.